From the back cover: This, then is Bob James latest album, recorded in the King Record studios in Cincinnati, Ohio, in September of 1962. 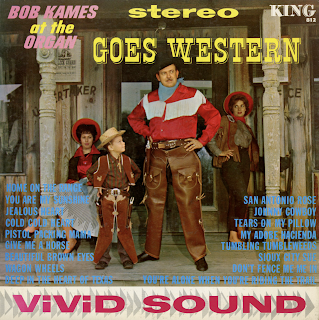 It is our belief that this album represents Bob Kames at his very best and we believe that the recording techniques used to capture the magnificent tone qualities and sound of the newest model Hammond Organ has resulted in an album which is truly unique and different. Arrangements were made with the Hammond Organ factory to borrow the very latest model for the recording date. A special technique was worked out whereby a total of seven microphone were used to capture the full sound spectrum and harmonies produced from the two organ speakers – one Hammond speaker and one Leslie. The two speakers were isolated by special sound baffling so that a complete separation between the two speakers could be obtained for special stereo effects. The idea to have Bob Kames record a country music album was inspired by the great Ray Charles album, "Modern Sounds In Country And Western Music". 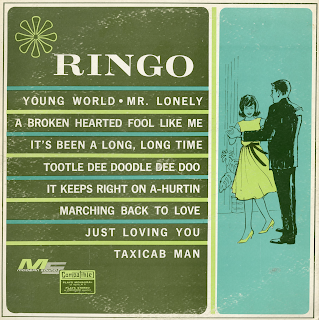 Once it was decided that this would be at the album theme, many hours were spent in researching the songs to be recorded. Following Bob's theory of recording music "for the people", the selectors were finally reduced to sixteen. 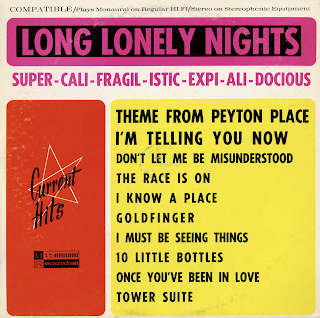 The normal length for most LOs is twelve tunes, but Bob felt that it was impossible to cut the list any more, so all sixteen songs were recorded and included in this album. 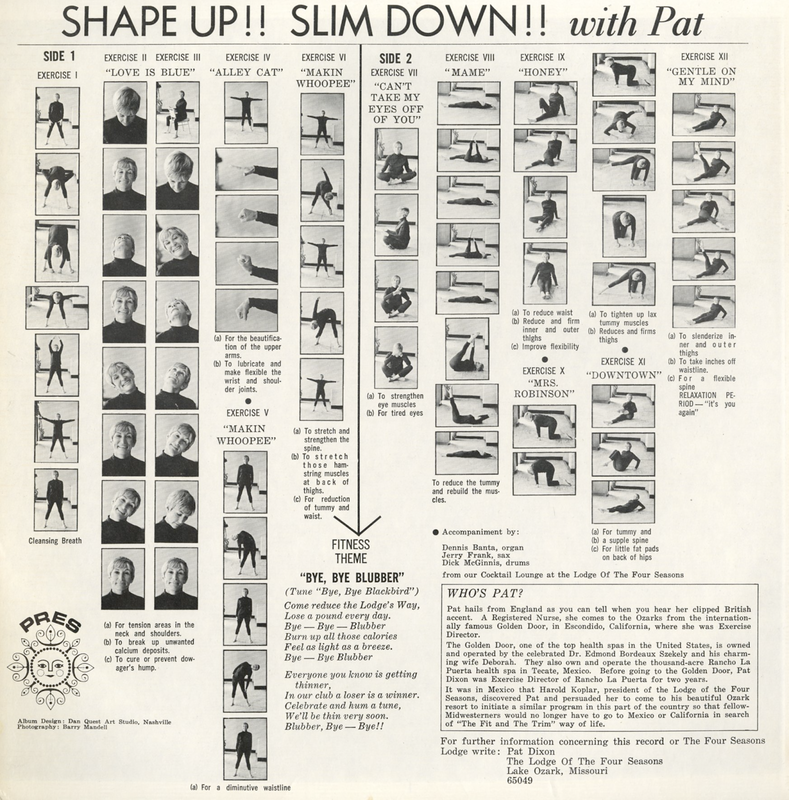 From the back cover: Who's Pat? Pat hails from England as you can tell when you hear her clipped British accent. A Registered Nurse, she comes to the Ozarks from the internationally famous Golden Door, in Escondido, California, where she was Exercise Director. The Golden Door, one of the top health spas in the United States, is owned and operated by the celebrated Dr. Edmond Bordeaux Szekely and his charming wife Deborah. They also own and operate the thousand-acre Rancho La Puerta health spa in Tecate, Mexico. 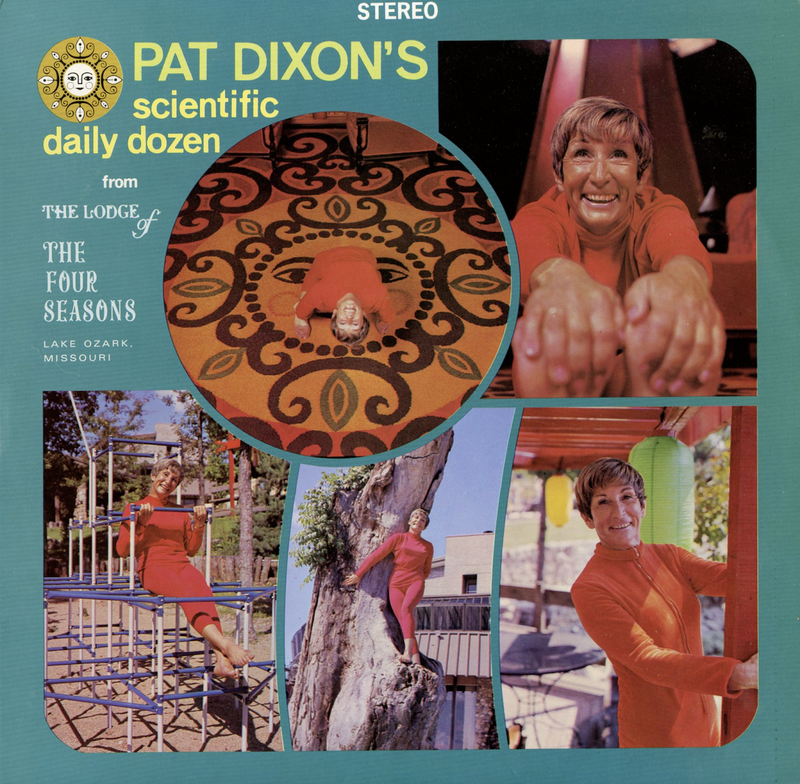 Before going to the Golden Door, Pay Dixion was Exercise Director of Rancho La Puerta for two years. 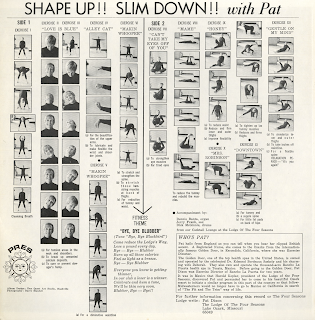 It was in Mexico that Harold Koplar, president of the Lodge of the Four Seasons, discovered Pat and persuaded her to come to his beautiful Ozark resort to initiate a similar program in this part of the country so that fellow Midwesterners would no longer have to go to Mexico or California in search of "The Fit and The Trim" way of life. Gown and Accessories from Milgrim, N.Y.C. From the back cover: They (your "musical favorites") are superbly styled the distinctive Guy La Salle way: chicly Continental in cast, lush and lovely in fashioning. I'm not sure why Betters felt that a quirky image of him standing on a pile of firewood would help sell his album. However if the concept was really to do "anything you wanna"... I can't argue with the image choice. Not only is the cover curious, the set is also a quirky combination of quirky arrangements that range from lively to "mellow". 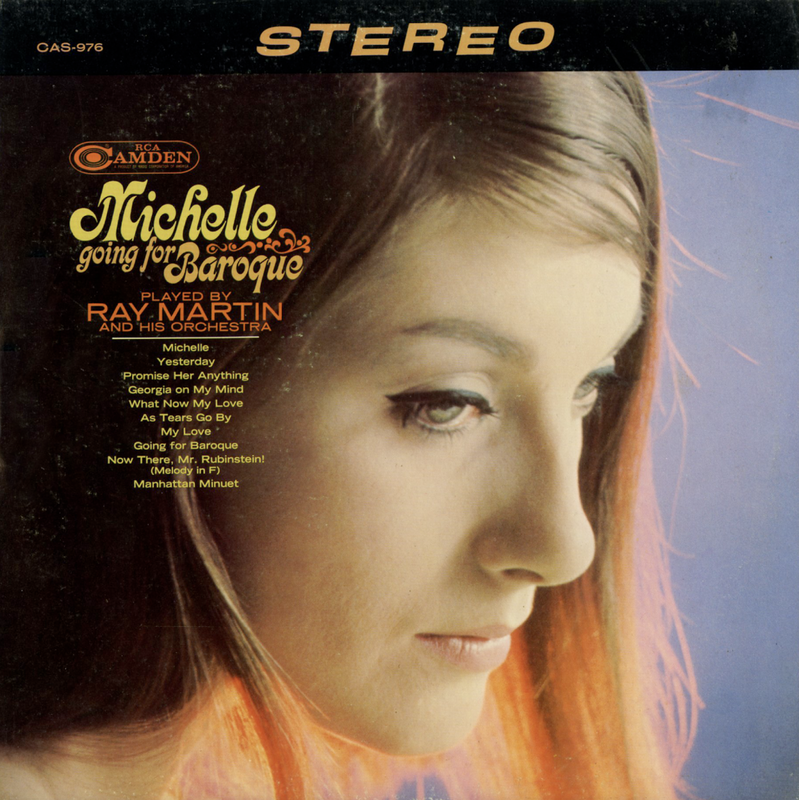 Overall, to my ear, this is a find, engaging small combo jazz set that includes some nice uncredited guitar work. 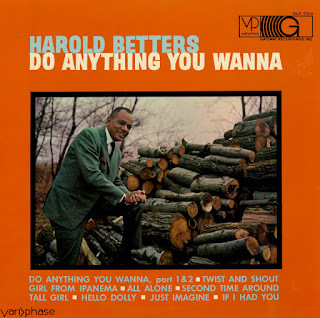 From the back cover: Harold Betters is one of the most vibrantly exciting new sounds to ever enter the music field. His adeptness and musical sensitivity has rightfully earned him the title of "Mr. Trombone." 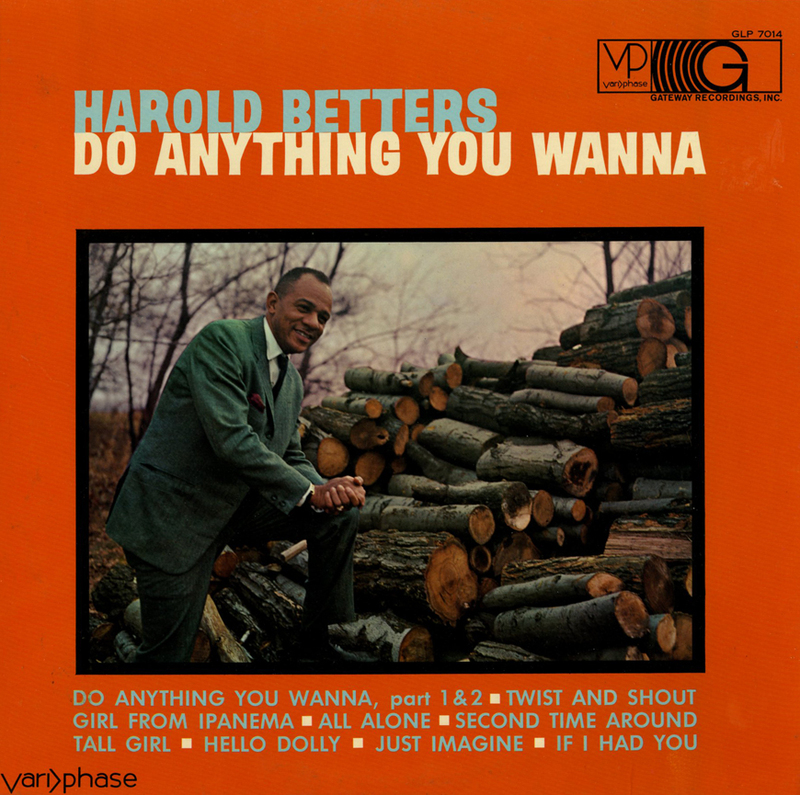 Whether it's the down home sound of "Do What You Wanna," the fiery "Twist And Shout" or the mellow strains of "If I Had You," Harold Betters displays a genius for reaching the hearts of his audience. To aid Harold in his brilliant arrangements, Chuck Ramsey and Res Lewellen keep a driving beat on the bass and drums respectfully, while John Thomas lends a hand with his unusual piano stylings. In two years Betters has been with Gateway I have seen his reputation grow from coast-to-coast. 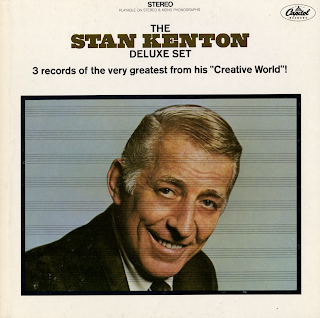 3 Records of the Very Greatest From His "Creative World"! Nice Kenton box set of tunes that features samples of the artist's progressive big band sound that he developed throughout his career. 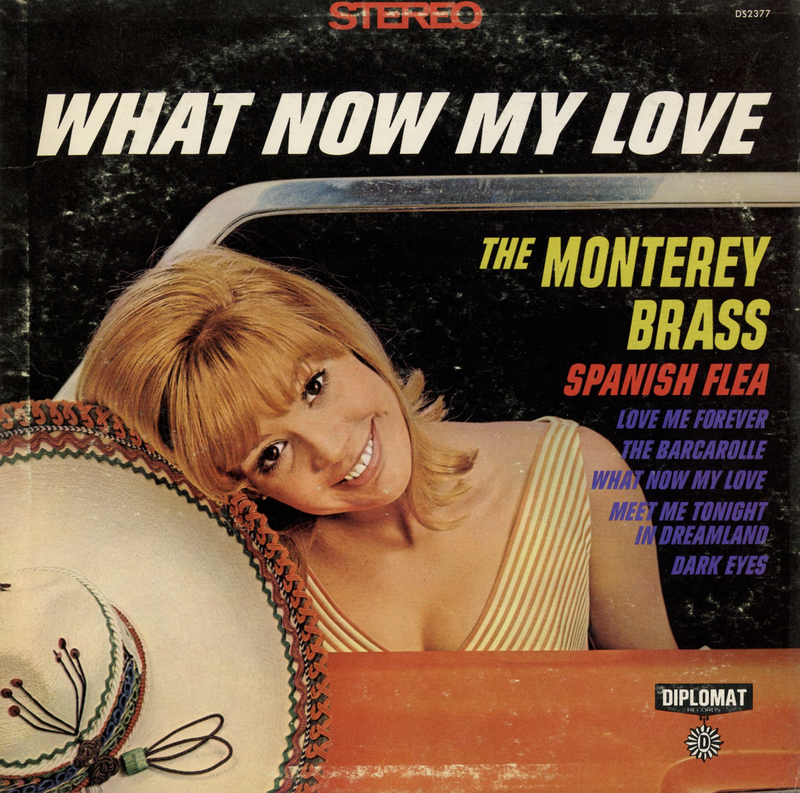 Many of the tunes are available from online vendors, however the sample above, one of his later efforts, seems to be out-of-print. Bali' Ha'i From "South Pacific"
I Feel Pretty From "Westside Story"
On The Street Where You Live From "My Fair Lady"
One of the few "teen age dance party" sets that I've collected that feature tunes that actually sound as though they may have late 50s youth or the college crowd appeal. 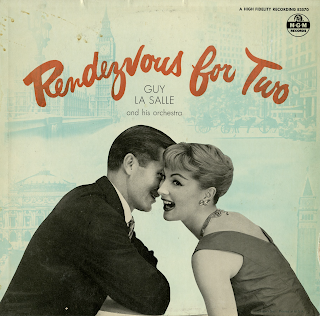 Singing, jazzy big band good all the way through featuring a few sweet but uncredited (Dan Terry?) male vocal numbers. 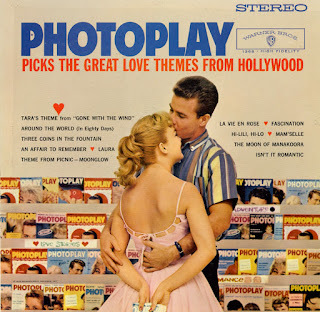 Excellent edgy late 50s mood set. Could be considered a concept LP. From Billboard - November 17, 1958: Composer, conductor, arranger Scarf batons a shimmering stereo performance of woodwinds and strings. Framework is Latin, heady and romantic, as the title might imply. 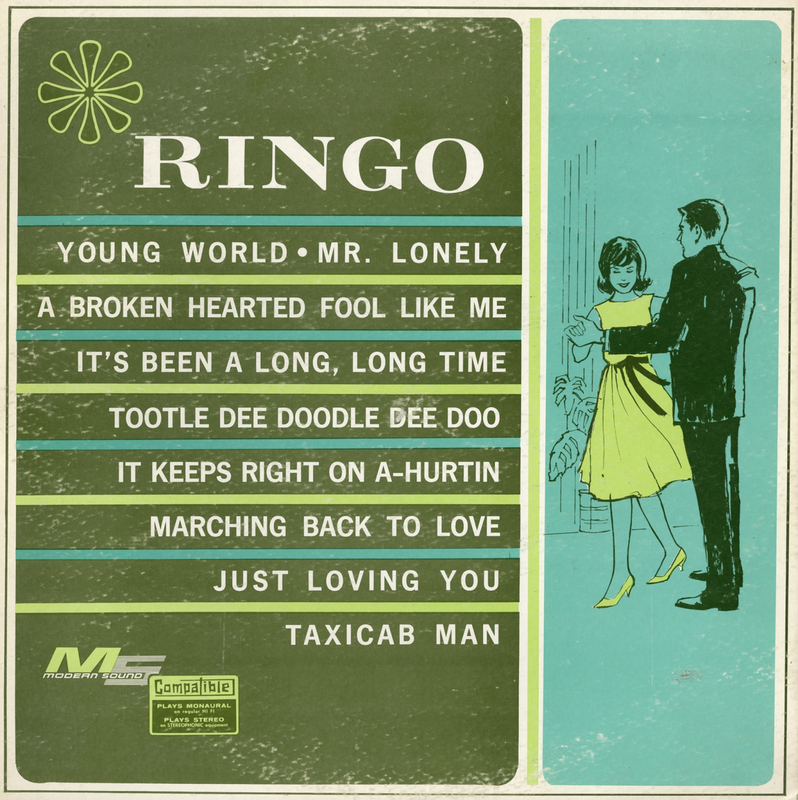 Rhythm are tango, conga, samba, etc., and the tunes are all Scharf's own. A rather bold cover will cause some chatter. The sound and performance are excellent. Walther Scharf wrote the Michael Jackson single from the movie Ben (1972). See Scharf's wiki page. Budget brass and engineering featuring curious low levels on the bass and drum kit. Crazy long arrangements for this type of set. 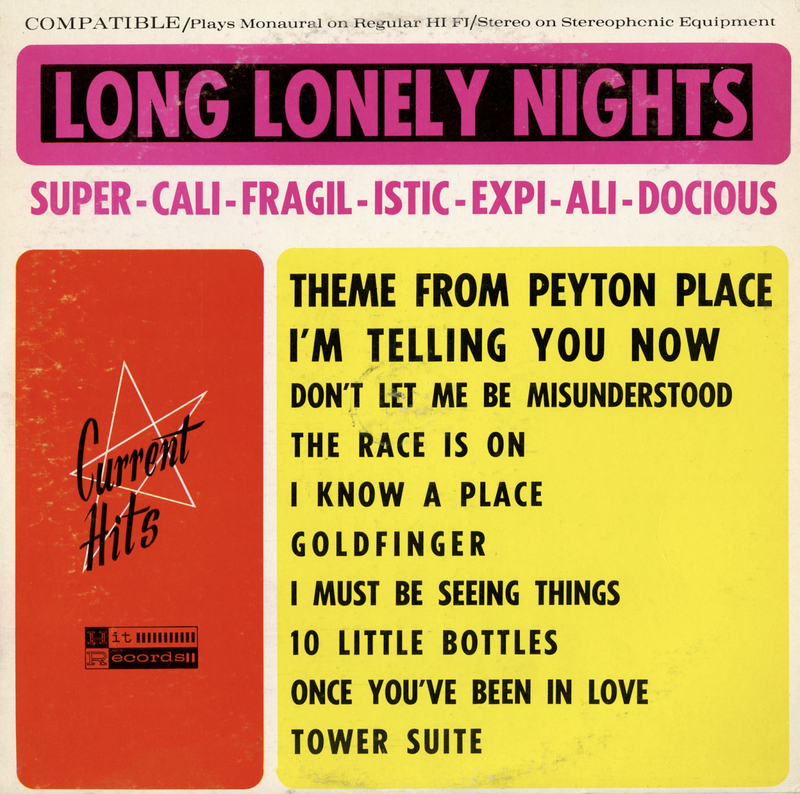 Another fine mid-60s pop release from one of my favorite space age arrangers, Ray Martin. From the back cover: Baroque emerged from the classical, mid-European centers of culture – from Italy and Austria. Of course that was back in the 1700 - 1800s. Ray Martin emerged from the very same background. He wafted his way out of Austria in 1938, polished English mannerisms and modern sounds in London and Liverpool and on the B.B.C. until 1957. Since then he has been charged up with the contemporary. Available from online vendors so I will not be posting a sample. This is the original cover (above) that features a photo that appears as if it could have been staged in the record company reception area. From the back cover: They (the songs) are performed by Ray Eberle, the original Miller vocalist, to provide a high fidelity re-creation of the great Glenn Miller Band. 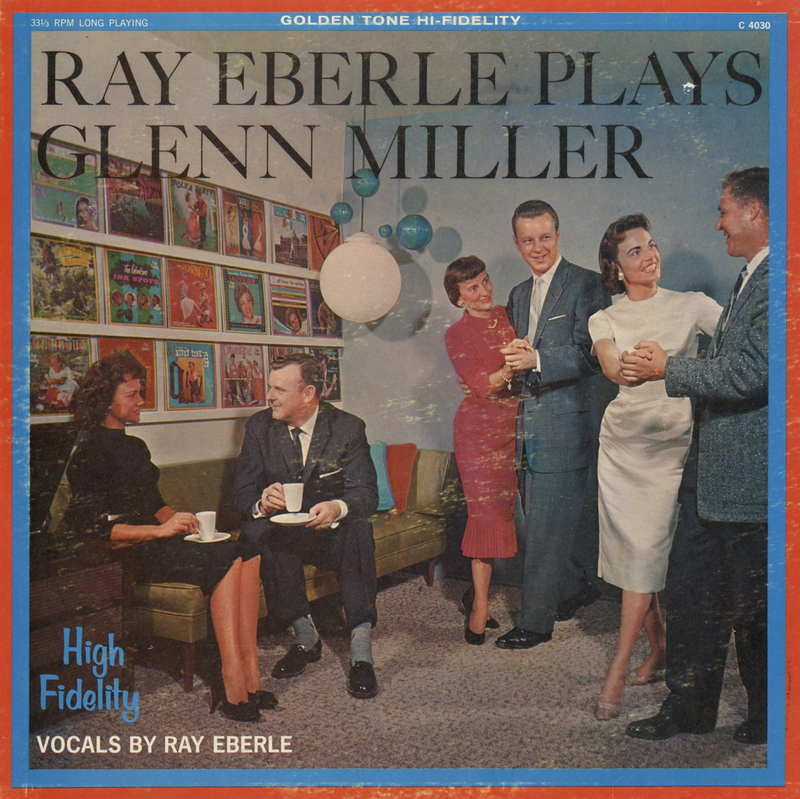 Solid dance set featuring Eberle's "golden tone" vocals.